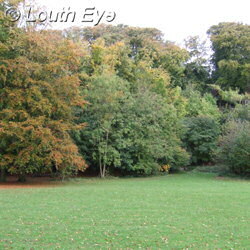 Louth Eye :: Events in Louth, England : A Charitable Trust For Hubbard's Hills? Councillors and members of the public gathered at the town hall on Monday night to discuss the future funding of Hubbard's Hills. 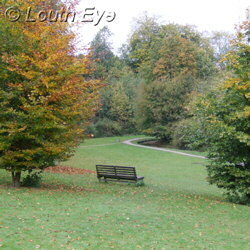 A proposal has been tabled to turn the maintenance of the park over to a charitable trust. The bill for the park's upkeep could be as high as �35 000, although some estimates suggested would put the true figure far in excess of that amount. The meeting was chaired by the Mayor of Alford, Councillor Grant Allan. Cllr Allan was present as a neutral party, and he also hoped to provide the benefit of his experiences of the restoration of Alford Manor House. Andrew Leonard of the Hubbard's Hills Working Group explained some of the problems the town faces. "ELDC have paid for Hubbard's Hills since 1974," he said. "What it needs now is major money spending on it." "The shelters are becoming derelict. We've been told there's no more money to do any work." Mr Huke proposed that the district council should be asked to hand back Hubbard's Hills in proper order, and that it should be providing a substantial annual grant towards maintenance costs. Both of these proposals drew broad support in the form of a show of hands in favour. "Vandalism is a problem," Margaret Needhan stated. "ELDC would repair the shelters as soon as they were vandalised." Several people expressed their feelings about the district council's abandonment of the amenity. Whilst David Robinson said "I personally am totally disgusted with the district council", whilst John Hough stated "I share people's anger about the way the district council has handled this." Andrew Leonard expressed his frustration at the difficulty of asking for money when "for every financial question we pose to East Lindsey, the answer is 'no'". You may be wondering how much money the hills are going to cost to run. There's no easy answer, unfortunately. The figure of �35 000 may be inaccurate, because it includes district council fees that the Town Council would not have to impose, but it is a figure for maintenance only, not improvements. Cllr Leonard explained that they were looking at a range of costings. According to Chris Birchmoor, a committee member of the Friends of Hubbard's Hills, a lot of work needs doing to the woodland. "You're probably going to spend well over �100 000," he said, taking the cost of work on the trees into account. He likened the need for ongoing woodland management to painting the Forth Road Bridge. Hubbard's Hills belongs to the people of Louth. Derek Gibson raised concerns about who would own it if a charitable trust was set up. Nick Cutmore, a specialist in charitable status, assured people that, depending on the details of the contract, ownership would remain the same. "The trust would manage it, but the ownership wouldn't change." Neil Sharpley of Louth Chamber of Business spoke in favour of a charitable trust, seeing it as a way to maximise the funding for this park. He described it as "an extra weapon in our armour", pointing out that we need not see this as an either/or option, and that a trust could exist in addition to other sources of income. At the end of the meeting the question of whether steps should be taken to set up a charitable trust was put to the floor. Although it wasn't unanimous, a clear majority of those present were in favour of the idea. Forms were made available for anyone who wants to volunteer to be on the Hubbard's Hills Advisory Group. These forms should be handed in to Louth Town Hall by 20th November. Councillors highlight increased vandalism and ongoing maintenance costs for the beauty spot. In which something is very nearly almost said about the Hubbards Hills Trust.